We've been entertaining in the tri-state area for over 20 years. 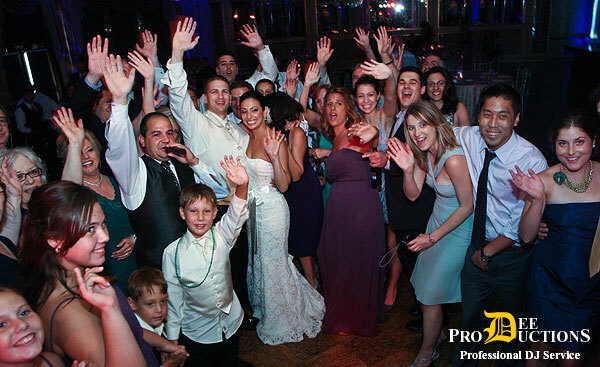 Dee Productions has developed a reputation for delivering complete customer satisfaction, with the best in quality DJ entertainment for a wide range of weddings, parties, corporate functions and celebrations of all kinds. Careful attention to each and every detail is what sets us apart from other DJ companies. Every occasion is unique...so your music will be too! Our entertainers are seasoned professionals who will keep you and your guests happy and energized. Your Party will be a real success with Dee Productions providing the entertainment. From our friendly attitude to our polished, formal attire, we will go the extra mile to make your big day as magical as possible. We strive to maintain a personalized level of service before, during and after your event. We treat every client like a friend for life. To find out more, please e-mail or call us at (973) 831-4966 to speak to one of our friendly representatives.